The Snowcreep-ocalypse is Upon Us! As we approached our long-awaited Holidays, many citizens across the lands laid down their arms and entered into Non-Aggression Pacts, vowing not to strike one another, sack their neighbor's towns, or start any new wars. Unfortunately, the gods have funny ways of playing cruel and sinister tricks upon us. Cue the Snowcreeps, a vile, sinister creature of the snowy depths and the hells that rest below them. Fortunately, a warning was issued of their coming, as our soothsayers had the foreknowledge to warn the citizens of the land of their coming, days in advance. Sadly, there was little time to prepare for this coming manifestation of evil, as the realm was already trying to battle back another force that was rampaging across the countryside, the Possessed and their dark followers. 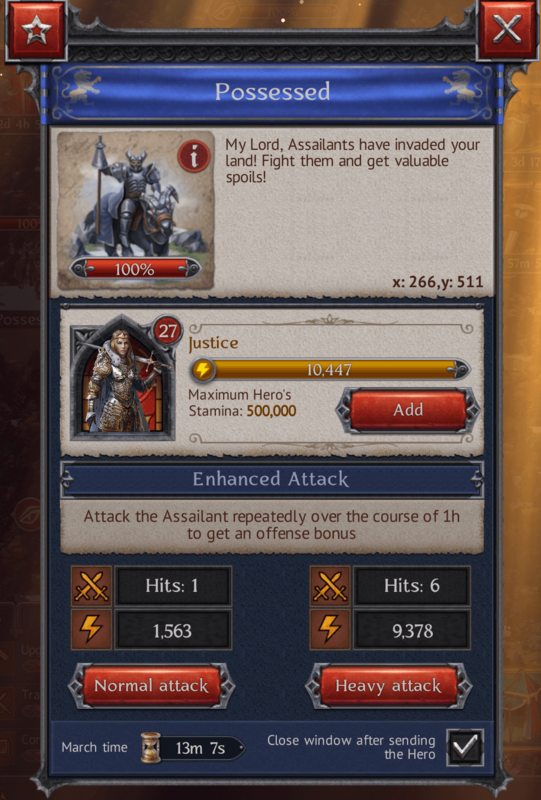 Still, we have been here before and although the timing was highly unfortunate, as many were hoping desperately for their hard-earned breaks throughout the Holidays, the citizens of the realm nonetheless came together in this hour of need and crushed the forces of the Possessed, rapidly and efficiently. Losses were heavy, but there was no time for rest or recuperation. The Snowcreepocylpse was now upon us, and every step in the snow could be your last, as the Snowcreeps took shape and form from the snowy landscape surrounding us all. Once again, as the Snowcreeps appeared, the gods proved that their jokes didn't end with their initial announcement. 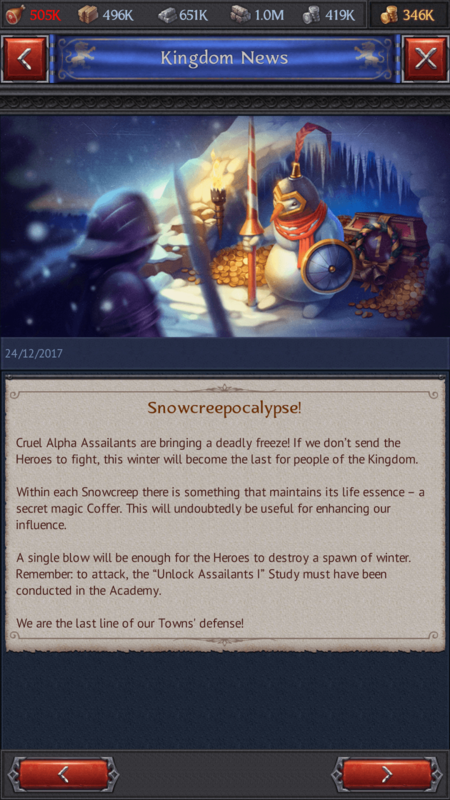 The Snowcreeps proved in the end to be a weak and brittle enemy. Their one true strength lies in their surprise element, but other than that, they were utterly and completely a feeble enemy. 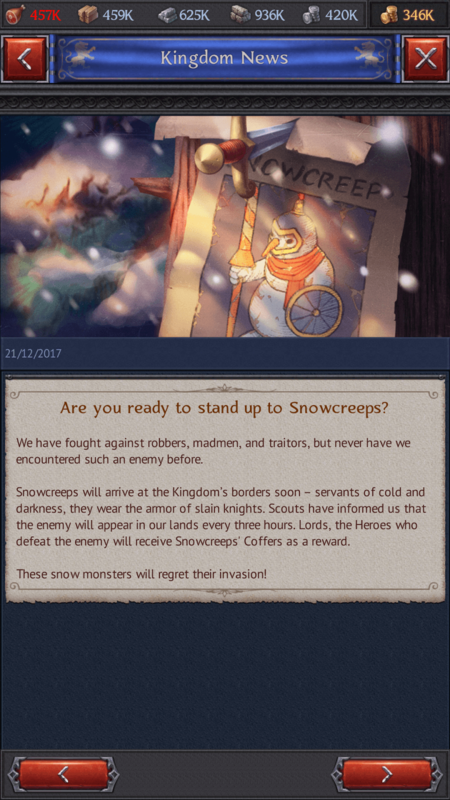 Taking only one strike, the Snowcreeps could easily be dispatched, and the evil spirits residing within these "snowmen" creatures were sent fleeing back to the Underdark, leaving behind one of six valuable coffers that contained surprise treasures for those brave enough to face them. Even odder, these creatures continue to appear across the lands in three-hour increments, randomly across each and every Kingdom. This has led to warriors young and old scrolling and searching across the lands, waiting anxiously for the next spawn of these brittle snow creatures, hoping to gain the Holiday treasures they contain. The hunt continues, so don your mittens, place upon your heads your warmest hats and venture out into the storm that surrounds us, riches and glory await thee!